7 . Use purple or orange on it . Layer mode in "overlay"
Gotta try this next. I'm so excited to dot it now! What does the layer mode "Overlay" do? Thank you so much for this, it looks really helpful! But I'm wondering what brush do you use for the second step? i'll try to that with traditional tools! thanks! super helpful of you to share this, thanks! Great tutorial! Really helped me! beautifull tuto and very usefull. thanks a lot. and keep up. This seriously the one thing on the internet I couldn't find on how to do. Thank you. Thanks for this! I could use it as reference in the future. Nice Tutorial, but is it possible to write the infos into the picture? 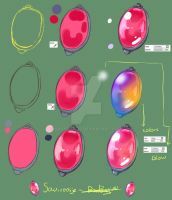 I save tutorials on my hard disk, but after a few months, it's hard to find the right text too the pic. 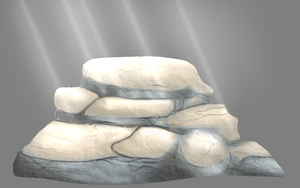 Nice you gave me idea how to put a lot of effort to make a really good stone painting. Pass & Share Your knowledge.